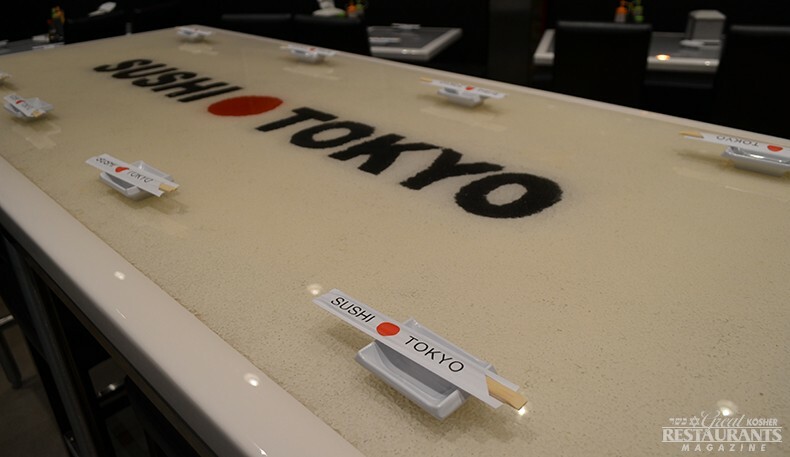 � How was your last visit to Sushi Tokyo (Kings Highway)? 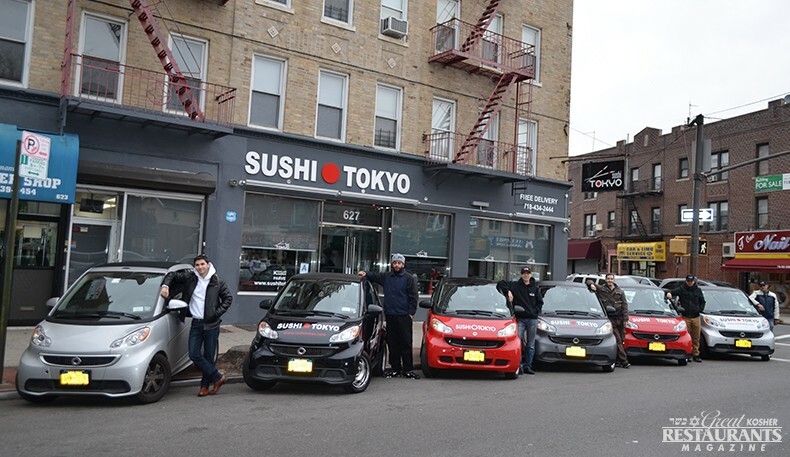 When Chaim Lipsitz and Shneior Harel opened their first Sushi Tokyo location in Brooklyn on Coney Island Avenue back in 2008, their goal was to make every person a sushi lover. With three restaurants now (two in Brooklyn and one in Five Towns), they are well on their way to making that happen. Their Kings Highway establishment is their newest (it opened in late 2012) and most upscale of them. The beautifully renovated venue features sleek modern design in black-and-white color scheme with stainless steel, brown and red accents. The contemporary look is further enhanced by a brick wall and full-length windows. Much of the décor has been custom-made by Shneior, including the rice-enclosed glass tabletops. 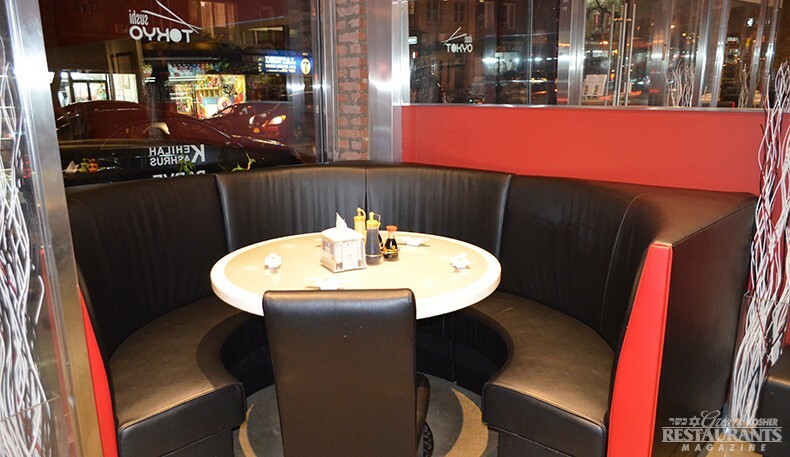 The seating is a combination of booth-style and bar-height tables with leather chairs and an additional cozy corner booth to accommodate a group of friends. 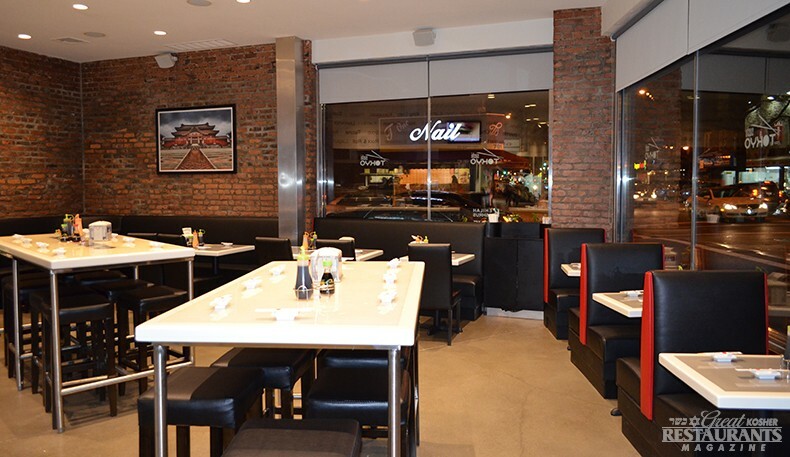 The restaurant is open early and closes late, including on Saturday nights, making it a convenient spot to get a sushi fix at almost any time of day. In the evening the restaurant transforms with a dimly lit, lively vibe. It is a great place for both an informal date night and a family or friends get-together. The top quality of their sushi is a result of using only the highest-grade fresh fish and the superb skills of their sushi chefs. 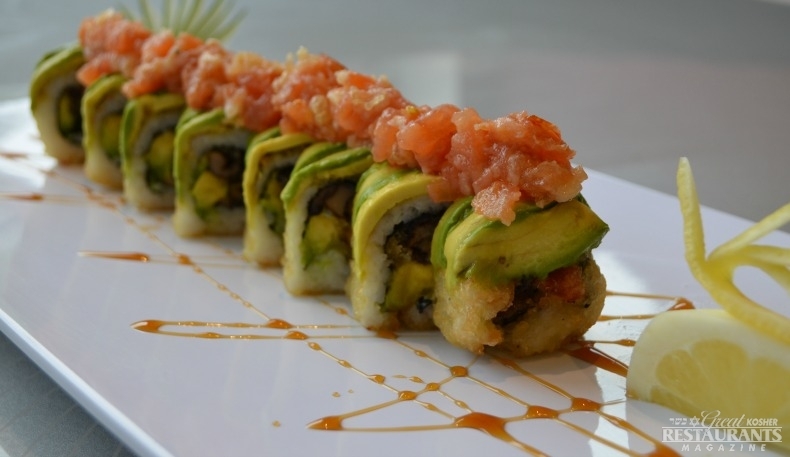 Sushi Tokyo offers all types of sushi and a variety of appetizers. Their starters feature such popular choices as Krispy Kosara (crispy cubes of rice topped with spicy tuna crunch and sauce) and Salmon Tempura Salad (kani salad base topped with crunch strips of salmon). Their chef special rolls pack a perfect combination of flavors. 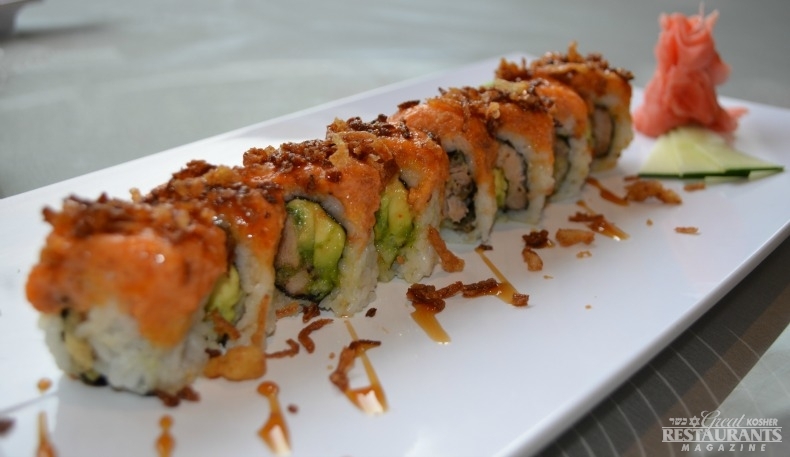 Try their Lawrence Roll, a true masterpiece, made with tempura black pepper tuna, avocado and crunch, and topped with spicy salmon, tempura onion and sweet sauce. If you are not a raw fish enthusiast, there are plenty of vegetable and cooked fish choices, as well as soy seaweed and brown rice options to meet every customer’s taste. 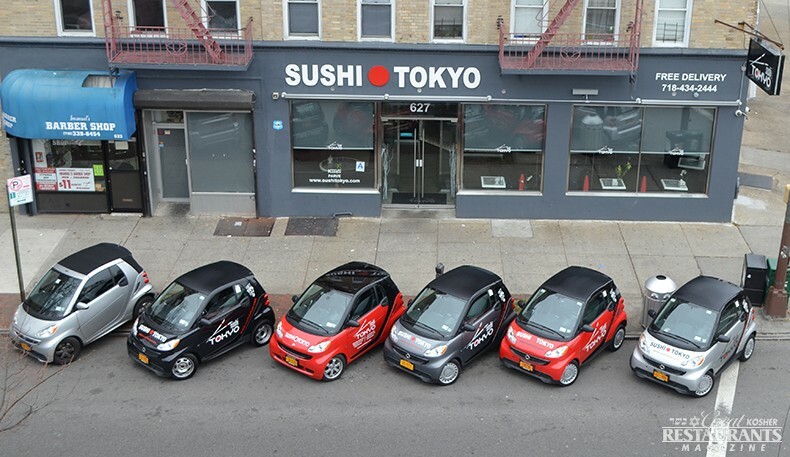 If you can’t make it to the restaurant, you can have your order delivered in one of their fleet’s smart cars, and you can further save 10% by placing your order online. 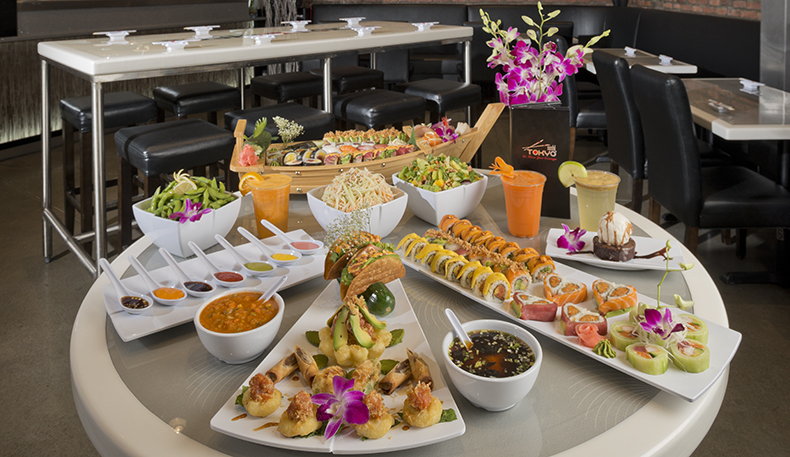 Sushi Tokyo also provides catering for any affairs offering outstanding custom sushi platters as well as a sushi bar option. Both myself and my husband have had the opportunity to visit Sushi Tokyo on Kings Highway in Brooklyn recently. 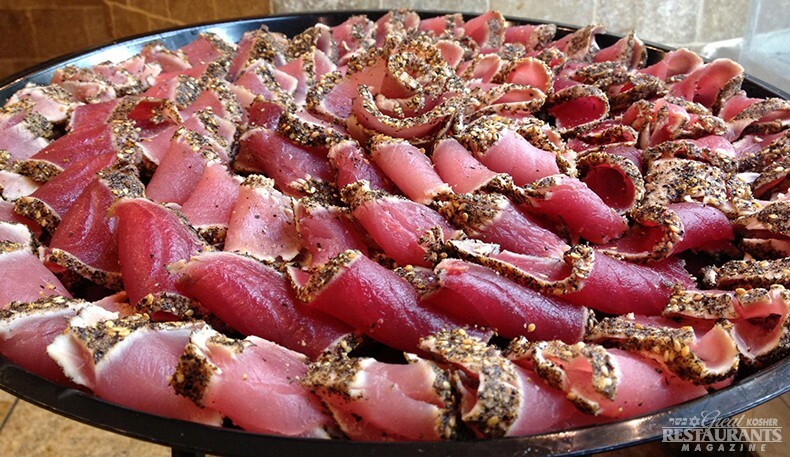 My husband tried the black pepper crusted tuna roll. It was so delicious he had no problem downing it in less than a minute as per Elan Kornblum's challenge. My husband is definitely looking forward to going there again. As for myself, I stopped by there to take a costume picture and sing the national anthem. The staff was quite friendly and amenable. The restaurant seemed very comfortable with plush cushions and a few more private seating areas. Their platters were gorgeous and they seem to function well under the pressures of a large order. I caught them at a busy time. I'm looking forward to my next visit. excellent sushi rolls and fresh salads...highly recommend! this is the best place i have ever worked !!! The Best Owner !!!! Best stuff !!!! thank you Mike !!! !